Here's what you've been looking for! Small acreage with a pond. Former home site, so there is a septic system on the property. (Owner is unsure of its operability.) Water and electricity also available. 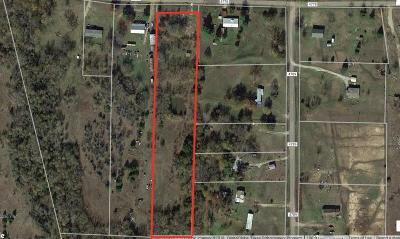 This property has many large trees and areas where you could have some pasture land. Land is extremely overgrown. Wear pants and boots to walk. Owner is checking with the county about re-installing the culvert to the driveway. With a little elbow grease, this property could be cleaned up and be exactly what you've been looking for! (No survey. Buyer will need to purchase a new one, if one is desired.) Drone pictures coming soon!